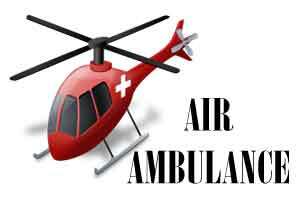 The state government of Maharashtra has signed an MOU with an air ambulance agency to reduce its dependency on current mode of inter-state air ambulance services. This new proposition by the state government will also make the service more affordable for patients who require organ transplantation. It is a service dedicated for organ transportation. The present cost of a heart transplant procedure is between Rs20-22 lakh, add to it the use of inter-state ambulance services; the patient has to shell out Rs 7-10 lakh extra. Only recently there was an unfortunate incident reported in DNA, which alleged that the high fares of an air ambulance service led to the death of an organ (to be donated) for a heart transplant. This case involved transporting the heart of a brain dead patient from Bhuj to Mumbai. However, due to the high cost charged by a chartered air ambulance, the family could not afford the organ transportation cost. The heart went dead as cadaver organs cannot be used four hours after a person’s death. As exactly reported by DNA, the state health ministry recently held a preliminary investigation at LTMG Sion hospital, which was attended by state health authorities, Zonal Transplant Coordination Committee officials, state health department authorities, representatives of four private hospitals – Fortis, Kokilaben Dhirubhai Ambani, Global and Jupiter – and representatives from three aircraft operators, Sai Craft Ltd, Aviators Air Rescue and International Critical Care Air Transfer Team. Dr Gauri Rathod, a nodal officer for Maharashtra’s human organ transplant programme, had said at the investigation that initial findings had confirmed the need to have an aircraft dedicated for organ transportation. She had said that during the two-hour-long meeting, the aircraft carriers had confessed that on the day of the Bhuj episode, at least 50 aircraft carriers were busy operating flights to Tirupati since it was the Makar Sankranti period. In a separate report by the Indianexpress, the state health ministry is mulling over introducing several standardised protocols to smoothen the life-saving transplantation process. This includes fixed air-ambulance rates, GPS for road ambulances and traffic police coordination, a different siren colour and sound for ambulances, and appointment of nodal officers in each division in the police force to clear the way for documental proceedings. With a thrust in inter-state organ transplant, the health ministry is also deciding on how an ideal green corridor can be created by finalising air-ambulance fares and fixed road transport protocol. Before extracting an organ, the traffic police will be informed an hour in advance. A GPS in the ambulance will help in navigation and a sticker will be put up on the ambulance to show it is carrying an organ. The health ministry is also considering changing the sound of siren in the ambulance to show urgency in getting a road cleared.